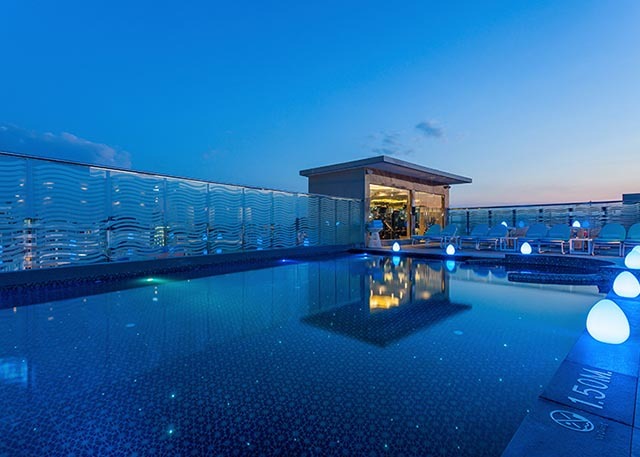 Break away and relax by our rooftop pool at Centra Avenue Hotel Pattaya. Book today and enjoy sensational savings and free Wi-Fi. Room, Location & roof pool I love staying here, great place to stay and in the centre of everything so you can walk to where ever you need to go. The rooms and very clean and comfy, perfect for solo or couples, the roof pool is superb and also has a brand new gym. I would stay here again for sure. The bed was Good , and Big smart tv easy connect to my computer. Very clean and new. Staff were very friendly. Would not normally stay at Pattaya but your hotel made it a pleasant stay. Not many guests so nice and quiet. Could be a bit cramped at pool in high season.